Hindustani Classical Music is an astonishing gift from god given to us. It is Indian classical music tradition, which took silhouette in northern India in 13th & 14th centuries from the spiritual, Folk and melodramatic recital performs. Hindustani Classical Music found from several sources of the oldest scriptures in civilization and from the Vedas of Hindu custom. As we talk about the description of music, the Samaveda (one of four Vedas) itself tells the details in length. North Indian Classical Music has its derivation as a form of meditation in front of influential spectators. 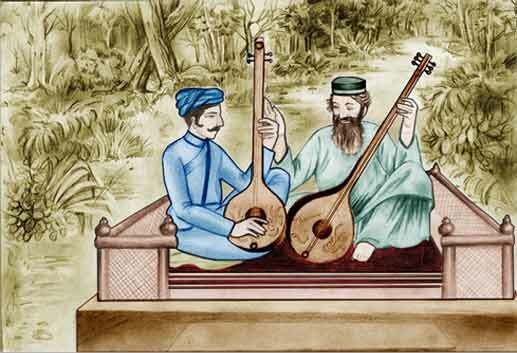 Hindustani Classical Music is based on Raag and Taal. They are considered to affect various “chakras” (moods or energy center) in the path of “Kundalini”. With these centers activationVedic practice traces the exact corporeal, psychological, natural and religious results. The music system developed by Indian Classical is the most difficult system. It has the similar features of Western Classical Music. The notes which are similar to Western Classical Music are Sa, Re, Ga, Ma, Pa, Dha, Ni, Sa, and they come in the same order. The major vocal forms-chum-styles associated with Hindustani classical music are Dhrupad, Khayal, And Thumri. Other forms include the Dhamar, Tarana, Trivat, Chaiti, Kajari, Tappa, Tapkhayal, Ashtapadi, Ghazal and Bhajans. Some of the forms are taken from folk or semi-classical music. We call semi-classical as light music also.